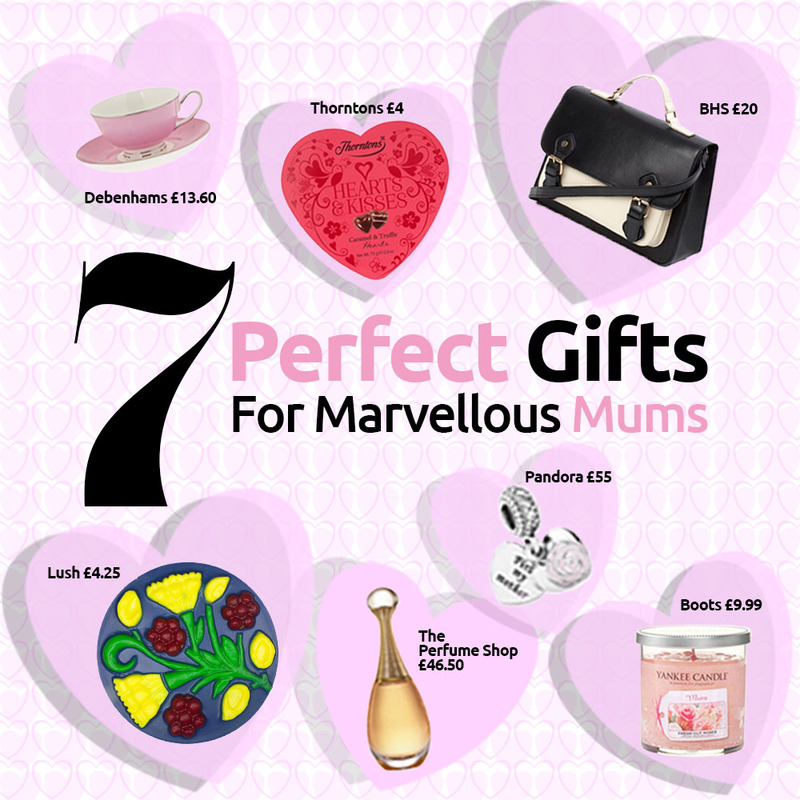 Want to treat your mum to something meaningful and indulgent, but you’re on a tight budget? Why not try this ‘Love You Mum’ soap from Lush (£4.25)? Its combination of mimosa, jasmine and bergamot oil will refresh and uplift her. For a really special keepsake, show your mum how much you care with this stunning ‘mother and friend’ charm from Pandora (£55). Inscribed with “First My Mother”, this sterling silver trinket will touch her heart and look fabulous too. Say it with chocolate this Mother’s Day with this tasty ‘Hearts and Kisses’ chocolate box from Thorntons (£4). If you’re really good, she might let you have one too! Whatever the occasion, there’s a candle fragrance for that! No, really – Yankee Candle has developed a special candle to celebrate marvellous mums everywhere, simply called ‘Mum’. Share the love and intoxicating fragrance and pick up this treat from Boots (£9.99). Tell your mum ‘j’adore’ this Mother’s Day by treating her to Dior J’adore Eau de Parfum Spray from The Perfume Shop (£46.50 for 30ml). She’ll love the floral fragrance, which exudes sophistication, glamour and femininity. If perfume isn’t her thing, why not surprise her with breakfast in bed? Make her a lovely cup of tea and serve it in this stunning Bombay Duck Printed Pink Butterfly Teacup and Saucer from Debenhams (currently £13.60). How are you planning to treat your mum on Mother’s Day – tell us on Facebook, Twitter, Pinterest or Instagram.